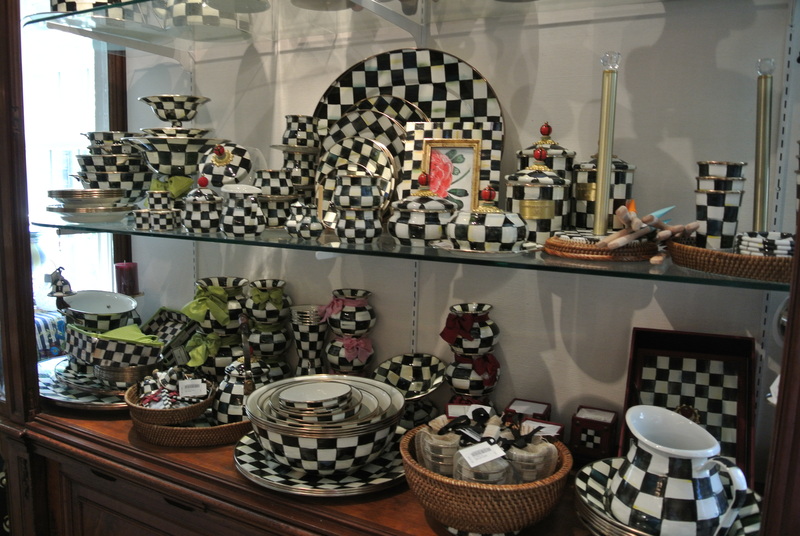 Those gorgeous courtly check dishes and ornaments are hand made by MacKenzie-Childs in Aurora, NY. How gorgeous are these dishes?! 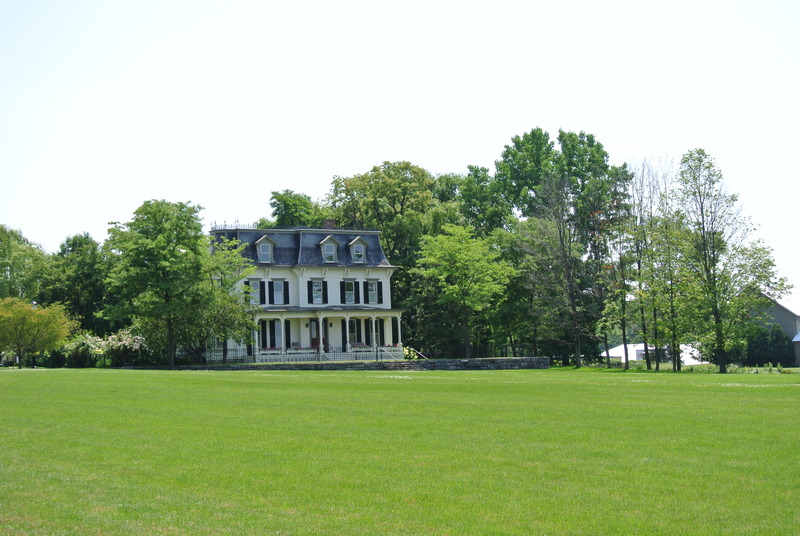 I’m fortunate enough to have grown up just a few hours from their production studio, decorated farmhouse, and gift shop. 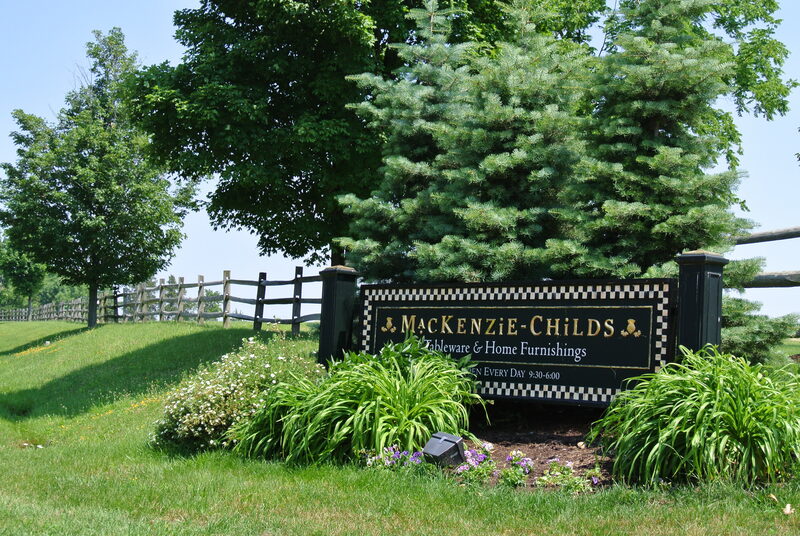 Located on Cayuga Lake, part of the Finger Lakes Region of New York, MacKenzie-Childs is surrounded by lush greenery, gorgeous water, and a quaint little town. 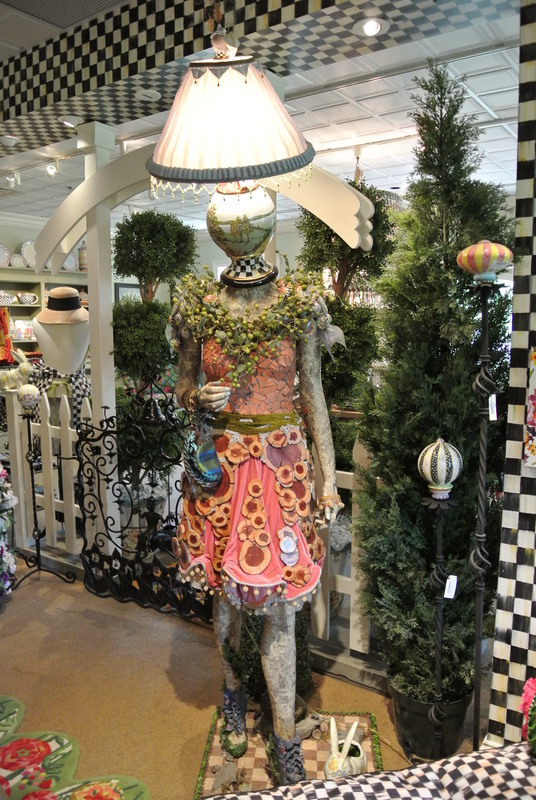 You can take tours of the fully decorated farmhouse and spend hours browsing and shopping in their store. 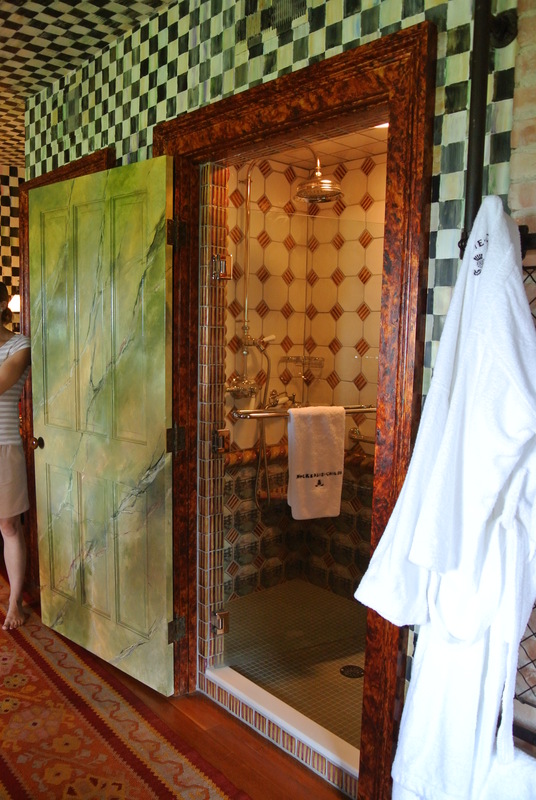 Daily tours of the farmhouse take you through 15 fully decorated and fabulous rooms. 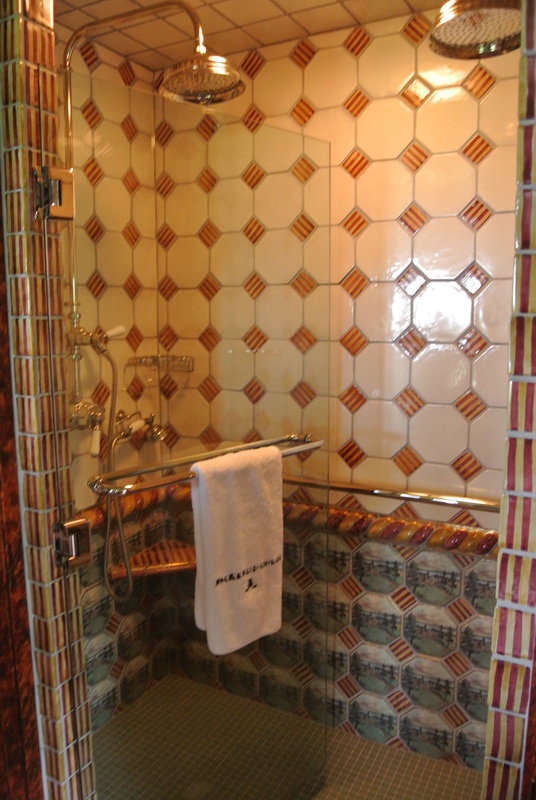 My favorite room was one of the last we saw and they had turned a closet in to a shower. It was so genius. Check out the gorgeous courtly check walls, surrounding what seems to be a closet door. But open it up and its a shower! So brilliant! Take notes, HGTV. After your tour in the farmhouse you can go and relax in the Courtly Check Courtyard. It has a quaint little garden seating area with a tranquil water fountain. 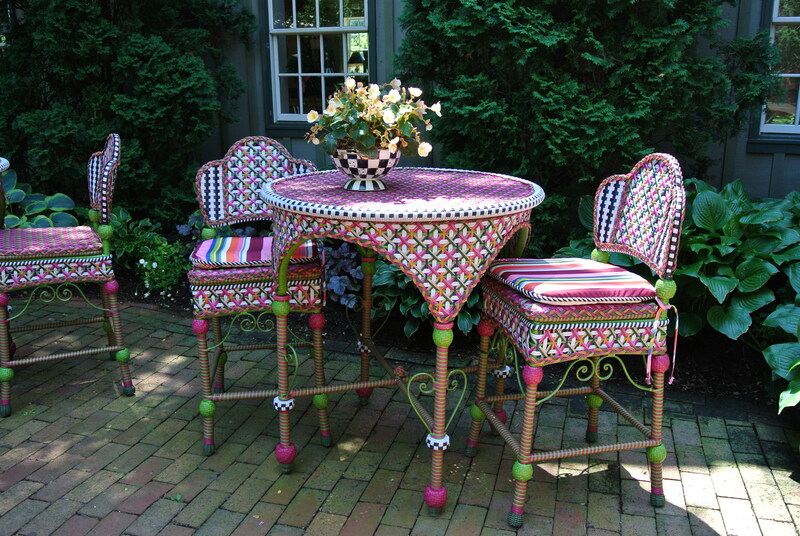 The tables are chairs are of course MacKenzie-Childs and they are so adorable. I would fill my patio with every single piece, if only the Husband and my bank account would let me. Wouldn’t you love to sit here with a good friend and a cup of tea? 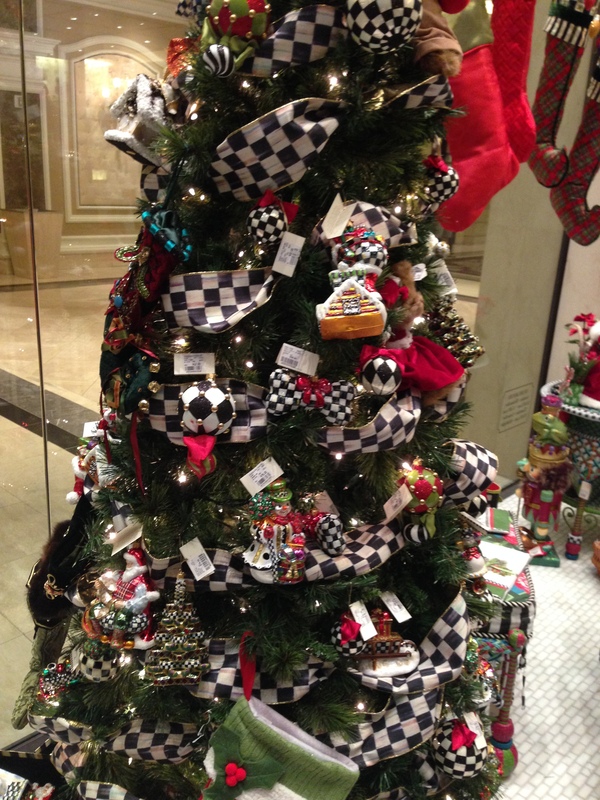 Once you feel rested and ready to move on, head inside to the gift shop. Tons of whimsical, charming, adorable dishware, home decor, furniture, and little gifts. 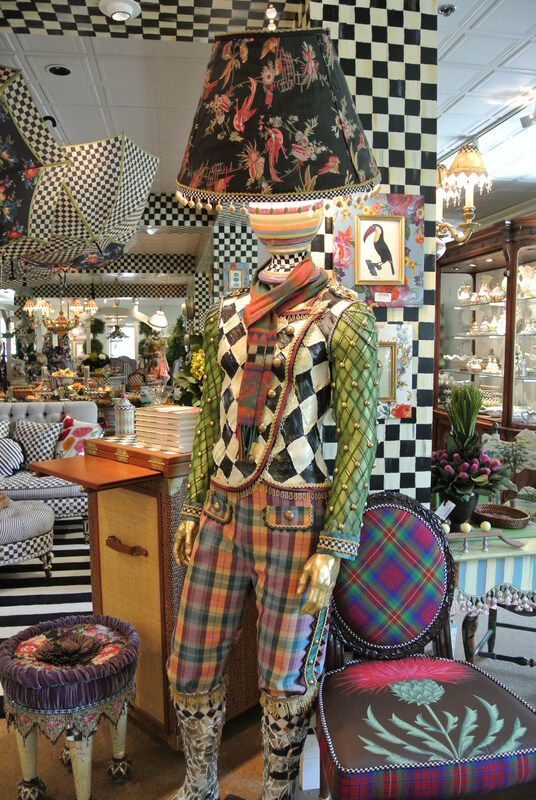 I fell in love with many, many, many items here. Including this chair. 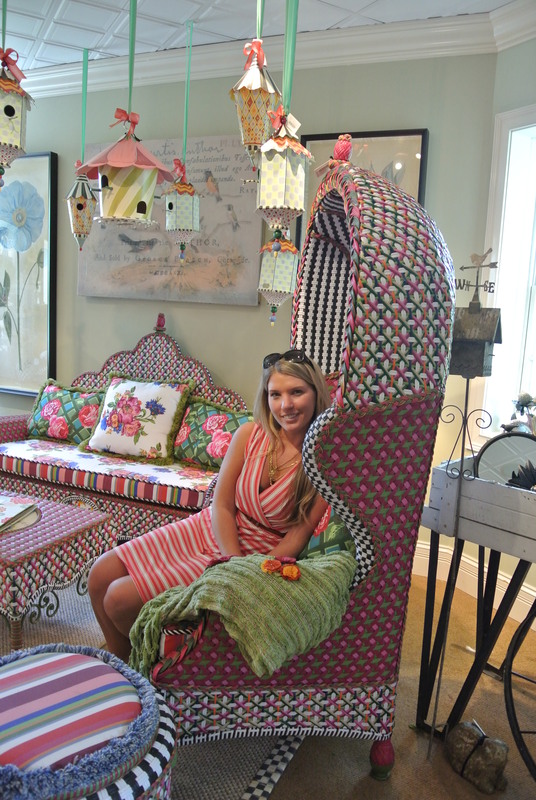 I felt like a queen in a fairytale sitting in the chair. Mom and grandma had to practically drag me out of it. 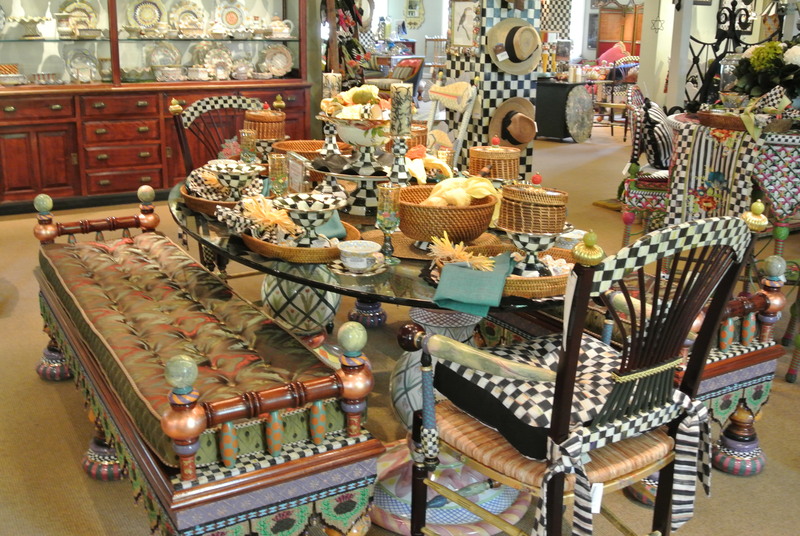 When you plan your wine tasting trip to the Finger Lakes region, make sure you plan a day for MacKenzie-Childs. It is truly a one of a kind experience and absolutely worth a visit.